Oh, how I miss delightfully fresh and flavoursome Vietnamese cuisine from its homeland. 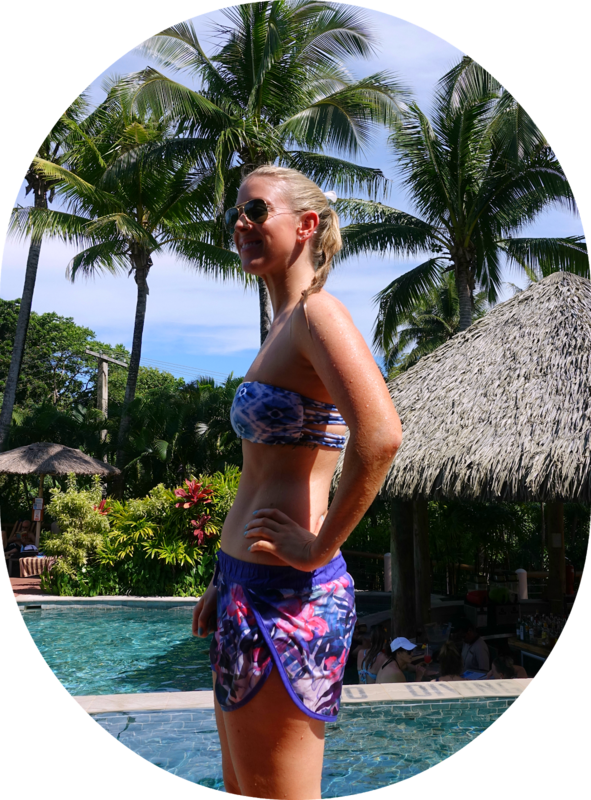 I don't have to wait too long to have it again, as I have recently booked returning in July at the end of my Southeast Asian adventure. This time, I will have the pleasure of visiting Danang and Hoi An - I can't wait! 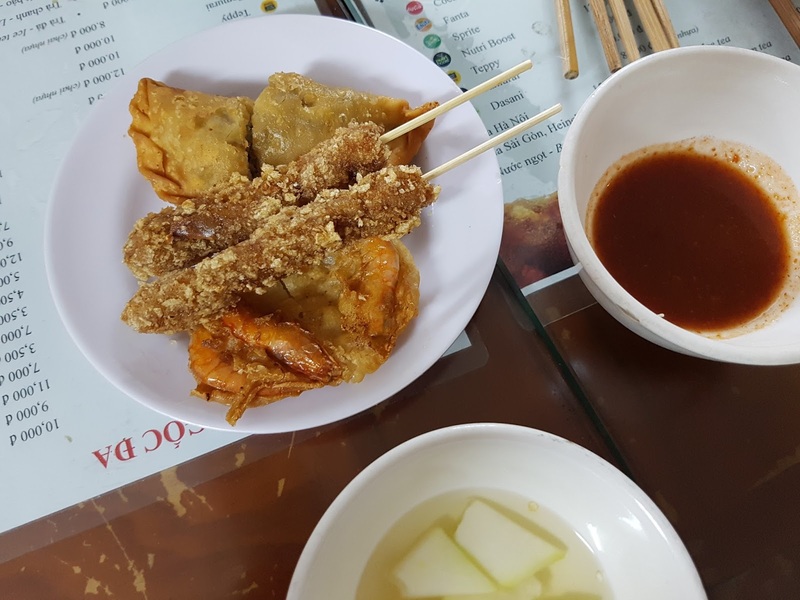 This is my second Vietnamese food post, with my first one focusing on Ho Chi Minh City. Again I will begin with an excellent street food tour, which was, as usual, one of the highlights of our time there. Being total foodies my husband and I love nothing more than being introduced to the best local cuisines, so on our first night we booked the highly rated Hanoi Street Food Tour. 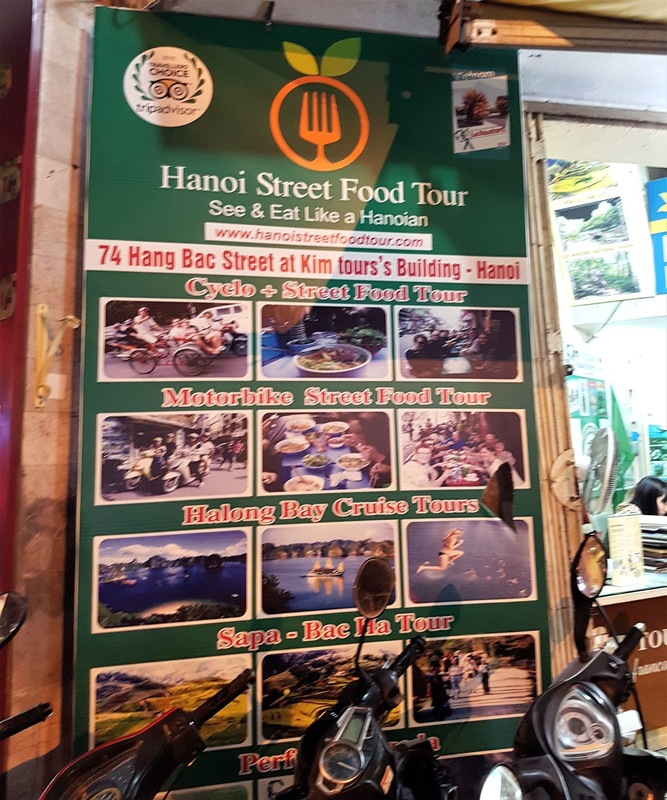 It is currently the number one tour in Hanoi on Trip Advisor. We booked the walking tour which was only $20 USD each, an amazing price for what we got. 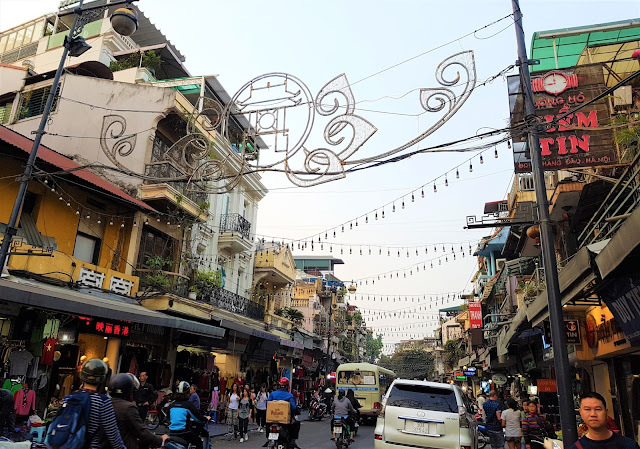 In a small group, we were taken by our friendly and knowledgeable guide through the old quarter, bustling markets and hidden alleyways and tried a huge variety of top-notch Hanoi specialities. We tried Bun Cha (grilled pork and noodles), Nom Bo (dried beef salad), Banh Cuon (rice-paper filled 'pancakes') which we got to each have a go at trying to flip as they were being made, Banh Tieu (fried savoury doughnuts), Kem Xoi - my favourite! (sticky rice ice cream), Banh Mi (Baguette), Ca Phe Trung (egg coffee) and to cap it all off we finished with some Vietnamese rice wine. In true local Hanoi-style, we sat at tiny tables and chairs on the street, at the backs of cafes or up flights and flights of stairs at family restaurants. We were so very full and satisfied afterwards! I highly recommended this tour, even if you're only in town for a short time. As well as the food, it's a great way to be introduced to the city and the guides are more than happy to answer any questions or recommend places. 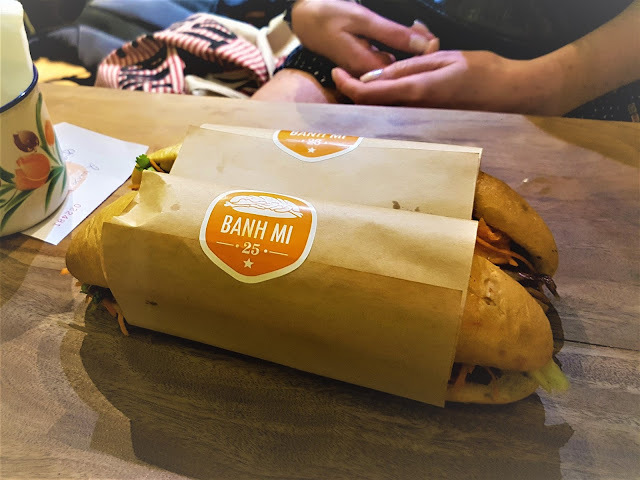 This famous Vietnamese baguette sandwich is packed with a choice of fillings including a selection of meats, paté and greens. The perfect Banh Mi should have slightly warmed and crunchy bread and fresh and flavourful fillings. 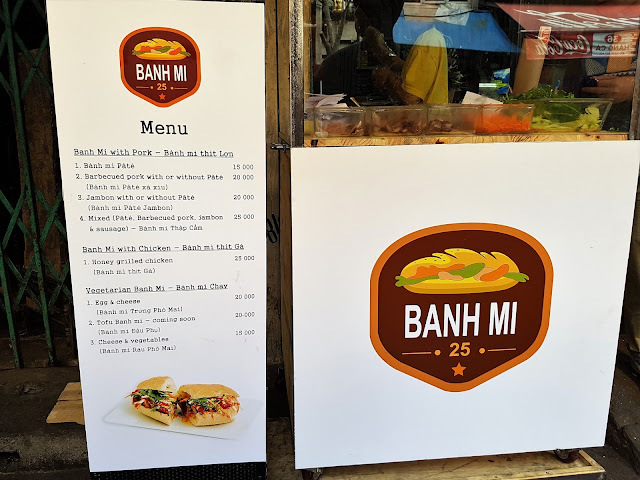 Recommended by several sources (including our food tour guide), was Banh Mi 25. As you can see in the above photo, you can get a delicious Pate Banh Mi for only 15,000 VND, (.80 cents AUD!) it's unbelievable. There was a long line when we arrived but it moved quickly. Next to the ordering booth which is outside on the street, they have a full cafe area where you can sit to eat. It was a very tasty and filling lunch, which we washed down with a Hanoi beer. 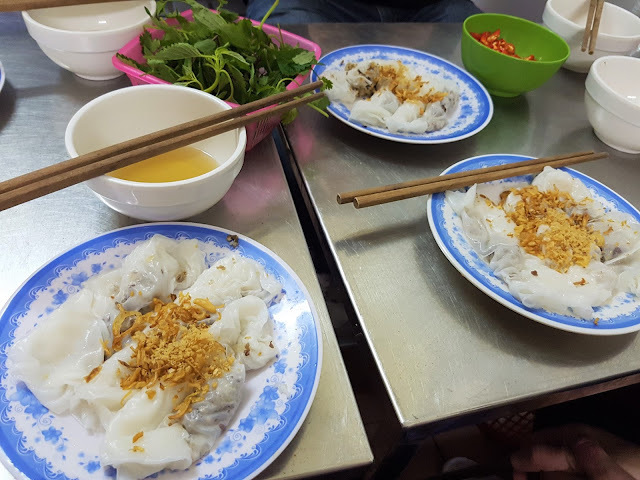 A Hanoi speciality, you can find Bun Cha at food stalls and street kitchens across the city. 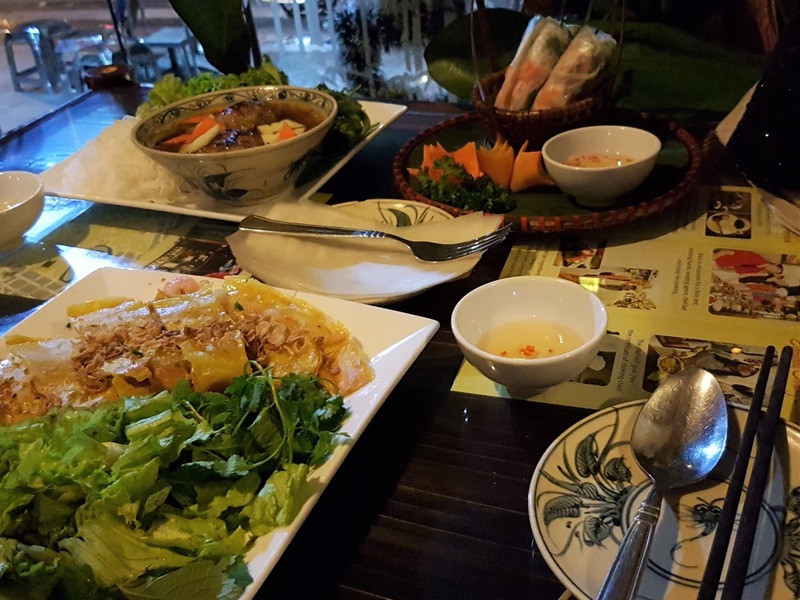 We tried Ban Cha several times as it's such an amazing feast and a budget one at around 60K VND each ($3.50 AUD). You are served a selection of several dishes, including charcoal barbequed meat patties, crispy spring rolls, noodle broth, assorted foliage, dipping sauce and fresh chilis. 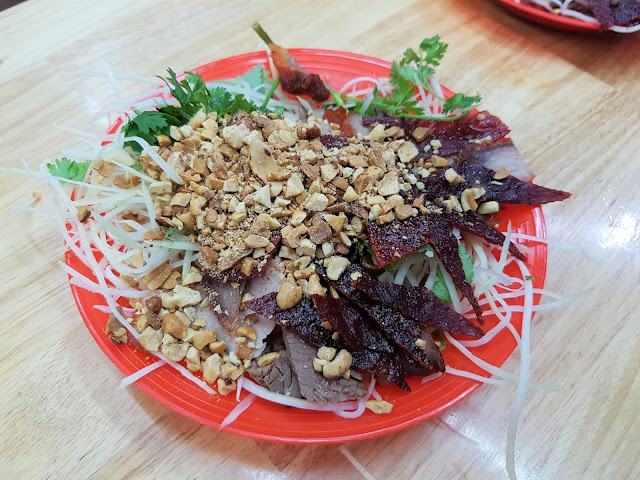 Although it is typically good everywhere you find it (much like Pho), our favourite place had to be Bun Cha Huong Lien, and that may or may not have been because even the former President Barack Obama had been there! Okay, I don't actually have a best place to eat Pho in Hanoi. As mentioned in my Ho Chi Minh City post, I ate Pho literally every morning (as it is commonly served for breakfast) at the hotels in which we were staying in. But I couldn't have a Vietnamese food post and not mention Pho! 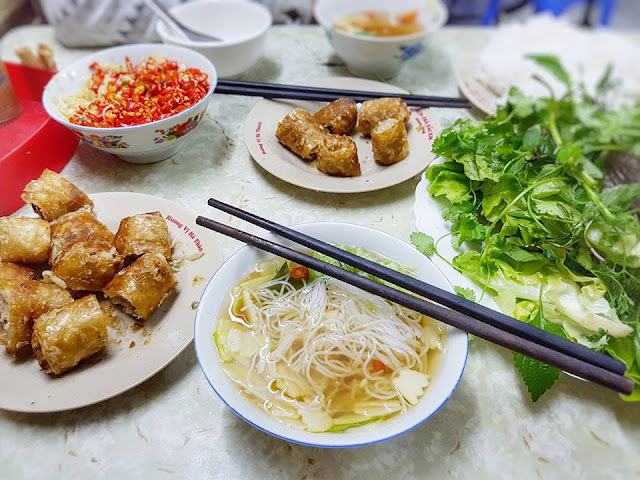 It's Vietnam's national dish, consisting of a light chicken or beef broth flavoured with ginger and coriander, with flat rice noodles, spring onions and slices of beef, pork or chicken. 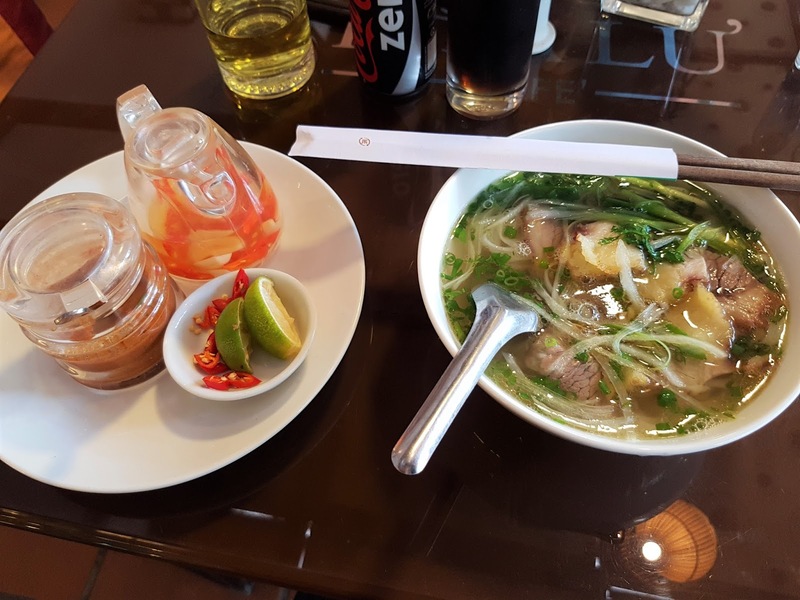 Every bowl of Pho was delicious and full of flavour, no matter where it was from - so I don't think you'll go wrong wherever you get it from. Our favourite place we went to for dinner in Hanoi was an absolute gem that we would have gladly gone back to again and again. Countryside was recommended to us by the lovely staff at our hotel. We later saw (as they should) that they have excellent Trip Advisor reviews. The food, service and prices all made for a delightful dining experience. They also offer cooking classes which I wish I had of had the time for! My husband and I ordered a few dishes to share including fresh spring rolls, Vietnamese savoury pancakes and a pork meatball vermicelli soup. Everything was perfection and we ate to our heart's content. 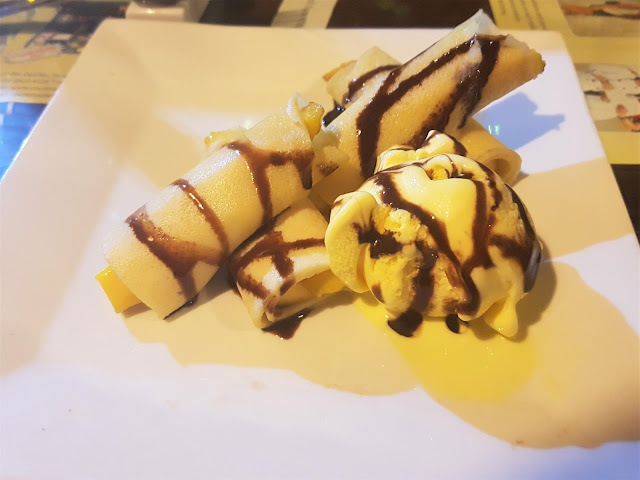 We even ordered a rare dessert even though we were full - the mango crepes and all of this including four beers cost a total sum of 360K VND ($20 AUD). They got a very good tip from us! In Vietnam, a hot pot is called Lau or Cu Lao. 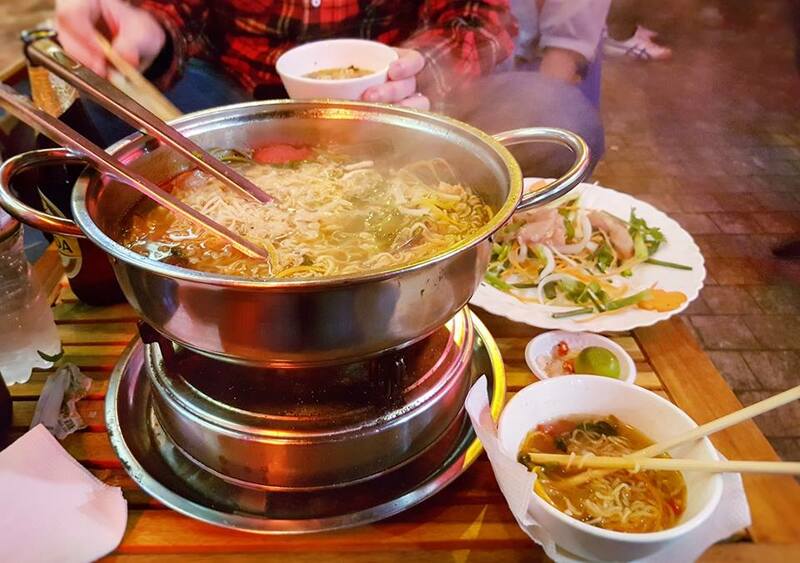 A hot pot is common throughout East Asia, which is a simmering metal pot of stock at the centre of the table. While the hot pot is simmering, you add the ingredients and it is cooked at the table. Typical hot pot dishes can include thinly sliced meat, leafy vegetables, mushrooms, wontons, egg dumplings, tofu and seafood and it is very warming and delicious. We had a delightful Cu Lao at Little Hanoi which is in the Bia Hoi Corner. You can sit on the street at tiny tables with the locals and enjoy the busy and bustling atmosphere of bars and people walking by. We ordered a beef and chicken hot pot which cost 200K VND ($11 AUD) and it was so good but so much food we couldn't eat it all! One of our favourite places we frequented almost daily was the French bakery Anh Hoa. The French Influence is still strong in Vietnam today after a century of past French rule. At Anh Hoa, they barely spoke a word of English but the bakery goods, including fresh croissants, pain au chocolat, filled sandwiches, cakes and coffee were all divine. 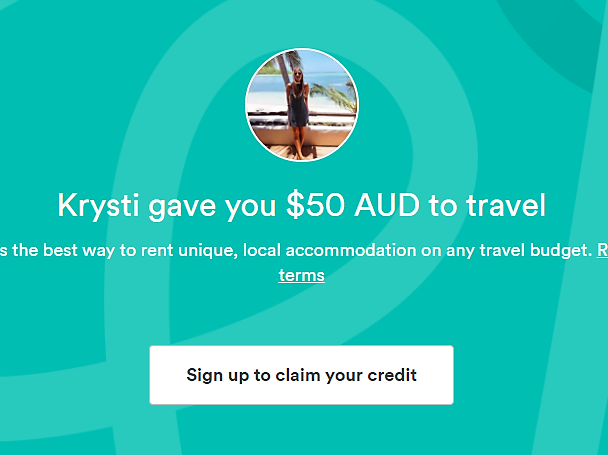 Just point and pay and you're all good to go! I saved my favourite for last - Egg Coffee, or Ca Phe Trung, originating in Hanoi is a delicious Vietnamese drink traditionally prepared with egg yolks, sugar, condensed milk and Robusta coffee. There is an interesting history of how this seemingly odd coffee drink was created. 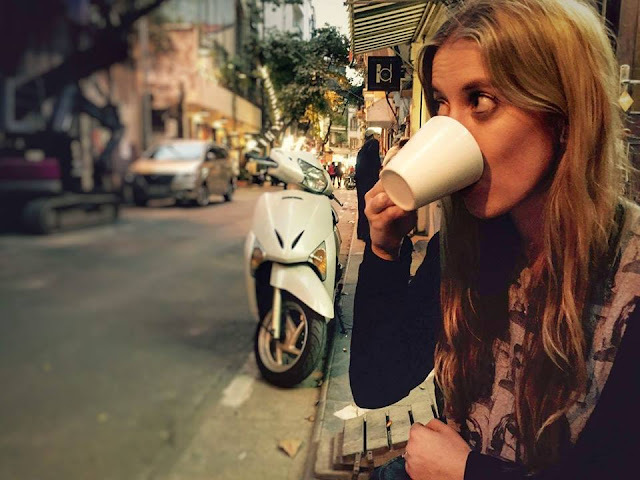 Due to there being a shortage of fresh milk in Vietnam during the French War, most Vietnamese would line the bottom of the cup with condensed milk and pour the coffee on top, and that's exactly how Vietnamese coffee is served today. But lacking milk, Nguyen Giang whisked in an egg as a substitute. 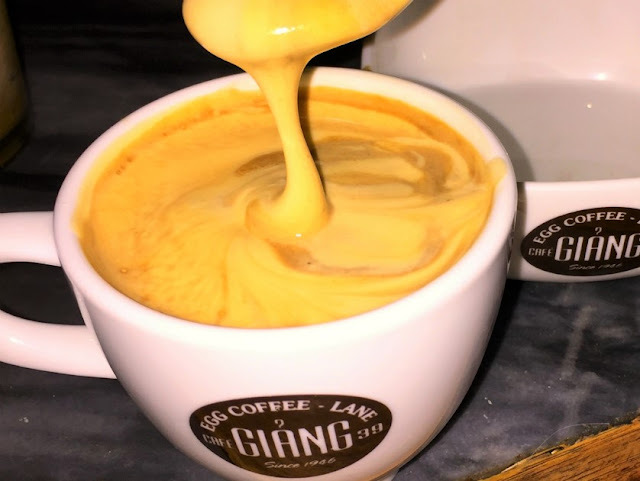 He founded Café Giang and that is where you can find the best Ca Phe Trung in Hanoi, where it originated from. It is so unbelievably delicious, like a liquid tiramisu. I loved having it as either a late-afternoon pick-me-up or as a dessert. I must say though, I had egg coffee at a variety of places, and although Cafe Giang was the very best - they were all delicious! There we have my top recommended places to eat and foods to try in Hanoi. I can't wait to write my next Vietnamese post on Hoi An, coming in July! 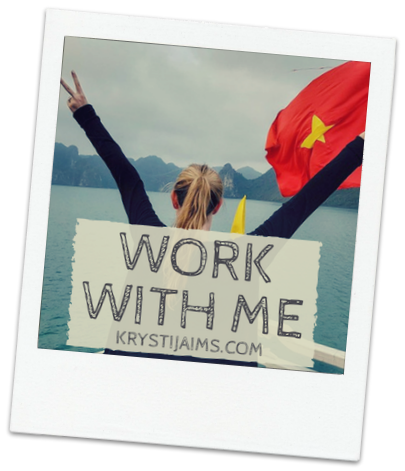 Do you have any other places to add to this list or recommendations for me in Hoi An? I'd love to read them! 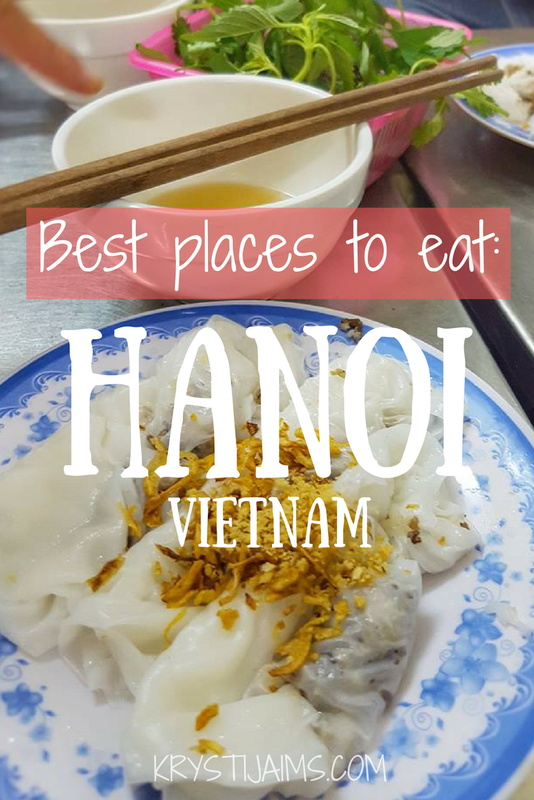 I also made a short video of the highlights of Hanoi from my time there if you're interested - it unsurprisingly showcases a lot of the food! You took me back to Vietnam. I was there this past summer and I had a great time. The food in Hanoi is phenomenal. This looks like such an amazing trip for a foodie! Wow you seems have tried all the best foodie places in Vietnam, and thats cool! AND your photographs makes me ruin my diet, haha. I wish where I live there was an entire street which featured just dessert like in Hanoi! I honestly wouldn't know what to do with myself. My husband LOVES Vietnamese food. I honestly have never tried it. We have a Chinese/Vietnamese restaurant near our home and he gets food from there. But I am sure the Americanized version is nothing compared to the food you have tried in Vietnam. What an amazing experience! 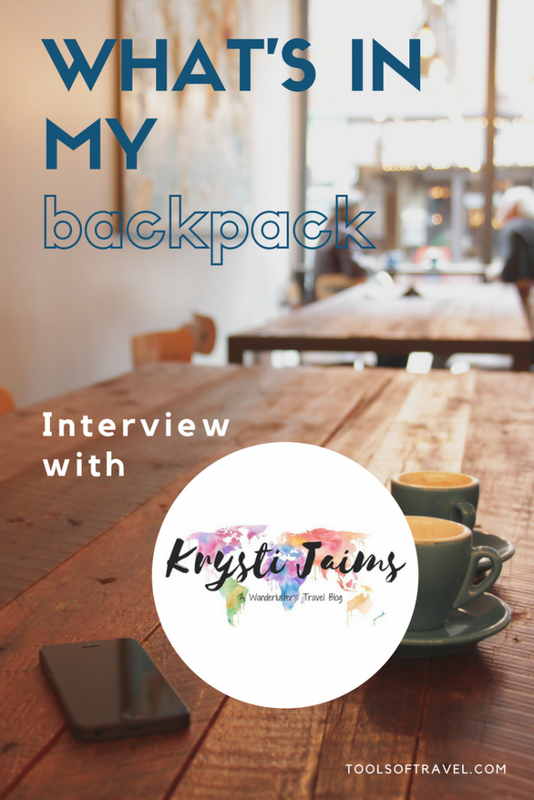 I love trying different restaurants while I travel. So, I love looking through the pictures on this post. It makes me so hungry! This looks like an incredible place to visit. 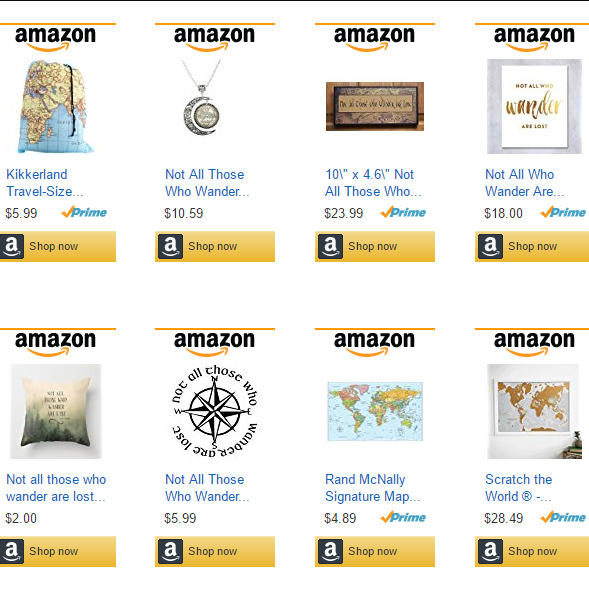 You have provided a great collection of ideas for tourists. The food looks amazing! One day I will be a world travelers...one day! 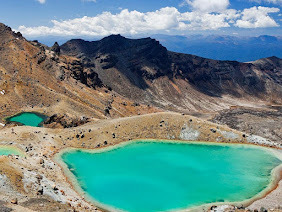 Fantastic post, and what a colourful and beautiful country. 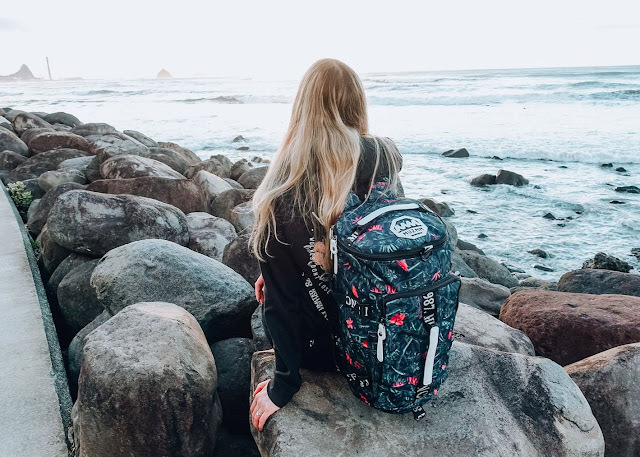 Feel I am travelling the world with you.